Fuel-injection, four-wheel drive and power steering make it a standout performer! When hills, mud, gravel and other natural obstacles get in the way of a job that just has to get done, four-wheel drive is the key feature in your utility vehicle’s repertoire. And when it comes to four-wheel drive utility vehicles, Kawasaki’s 2011 Mule™ 4010 4x4 is a standout performer. 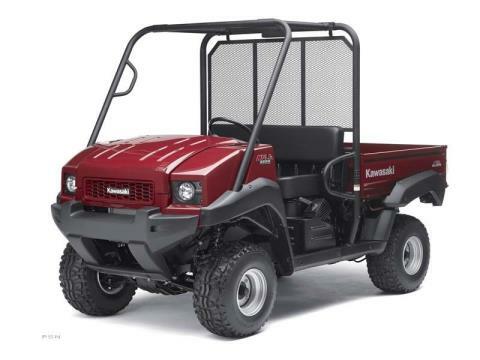 The Mule 4010 4x4 offers a dizzying array of features, including a full-sized chassis, selectable four-wheel drive system, reliable digital fuel injection, Electric Power Steering (EPS) system, fully automatic transmission, locking rear differential, a tilting cargo bed and much more.